The HTC U11 is one of the best smartphones that money can buy out there. The phone started selling in the U.S. not so long ago and so far, you can grab one in either Sapphire Blue, Amazing Silver, Ice White or Brilliant Black color variants. 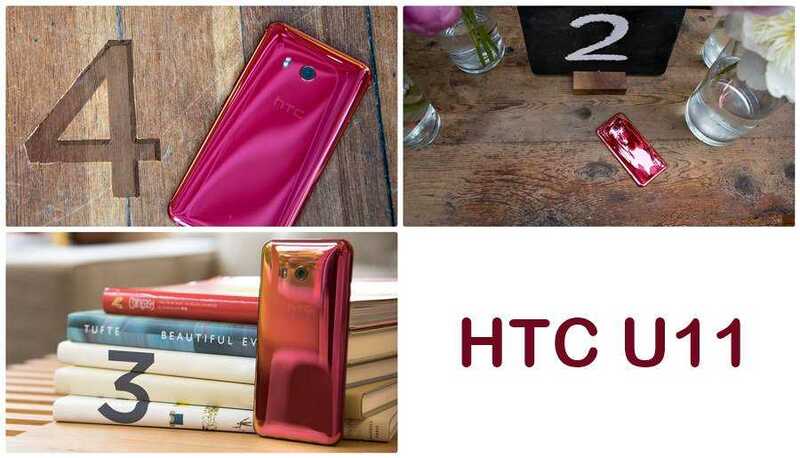 At the time of unveiling the HTC U11, the company also confirmed that the phone will be sold in up to five color variants, including a Solar Red finish. Well, according to a tweet made by the Taiwanese tech giant, this fifth color variant will be available for purchase really soon. The already released color variants of the HTC U11 are indeed great, but perhaps the standout finish is the Sapphire Blue variant, which has also made an appearance on the HTC U Ultra. Now that there’s a new Solar Red color variant on the horizon, it should make an interesting set of choices for fans of this squeezable handset. According to reports, the U11 has been received much better compared to the 2016 HTC 10. While this can be attributed to the fact that the phone is the world’s first to feature squeezable edges thanks to Edge Sense, the specs under the hood are equally fantastic. There’s a Snapdragon 835 SoC running the show alongside a RAM of either 4GB or 6GB. The storage options are two – 64GB for the base model and128GB for the high-end variant that packs a 6GB RAM module. The back has a magnificent 12MP shooter with f/1.7 aperture, PDAF, HDR, OIS, and dual-tone LED flash while the front ships with a 16MP lens that features an f/2.0 aperture and support for 1080p video recording. The HTC U11 has a 3000mAh battery unit that is charged via a USB-C port, which also doubles as the audio port since the phone has no 3.5mm audio jack. Software-wise, you get Android 7.0 Nougat out of the box alongside three digital assistants in the shape of HTC Sense Companion, Amazon Alexa and Google’s Assistant. For the display, the U11 has a decent 5.5-inch panel with a QHD resolution and Corning’s Gorilla Glass 5 on top. The phone is also backed by IP67 certification for dust and water resistance. Update: Using the same Twitter account, HTC USA has been busy throwing daily teasers of when the U11 will get a solar red color variant in the country. From a combination of several tweets, which started Friday last week, we can confirm that this will be happening tomorrow, June 20.